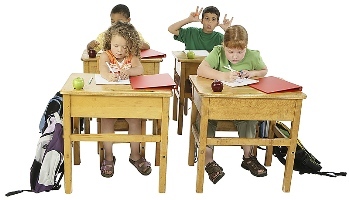 It is normal for children to have trouble focusing and behaving at one time or another. However, children with ADHD do not just grow out of these behaviors. The symptoms continue and can cause difficulty at school, at home, or with friends. An inefficiency in the cognitive management systems of the brain that affects a variety of neuropsychological processes such as planning, organization, strategizing, paying attention to and remembering details, and managing time and space. Research does not support the popularly held views that ADHD is caused by eating too much sugar, watching too much television, parenting, or social and environmental factors such as poverty or family chaos. Of course, many things, including these, might make symptoms worse, especially in certain people. But the evidence is not strong enough to conclude that they are the main causes of ADHD. For more information about cause(s) and risk factors, visit the National Resource Center on ADHD or the National Institute of Mental Health. Deciding if a child has ADHD is a several step process. There is no single test to diagnose ADHD, and many other organization problems, like anxiety, depression, and certain types of learning disabilities, can have similar symptoms. One step of the diagnosis process involves having a medical exam done, including hearing and vision tests, to rule out other problems that have symptoms symptoms similar to ADHD. Another part of the process may include a checklist for rating ADHD symptoms and taking a history of the child from parents, teachers, and sometimes, the child. In most cases, ADHD is best treated with a combination of behavior therapy and medication. For preschool-aged children (4-5 years of age) with ADHD, behavior therapy is recommended as the first line of treatment. No single treatment is the answer for every child and good treatment plans will include close monitoring, follow-ups and any changes needed along the way. To go to the American Academy of Pediatrics (AAP) policy statement on the treatment of school-aged children with ADHD, visit the Recommendations page. Because symptoms can change over time, the presentation may change over time as well. Create a routine. Try to follow the same schedule every day, from wake-up time to bedtime. Get organized. Put schoolbags, clothing, and toys in the same place every day so your child will be less likely to lose them. Avoid distractions. Turn off the TV, radio, and computer, especially when your child is doing homework. Limit choices. Offer a choice between two things (this outfit, meal, toy, etc., or that one) so that your child isn’t overwhelmed and overstimulated. Change your interactions with your child. Instead of long-winded explanations and cajoling, use clear, brief directions to remind your child of responsibilities. Use goals and rewards. Use a chart to list goals and track positive behaviors, then reward your child’s efforts. Be sure the goals are realistic—baby steps are important! Discipline effectively. Instead of yelling or spanking, use timeouts or removal of privileges as consequences for inappropriate behavior. Help your child discover a talent. All kids need to experience success to feel good about themselves. Finding out what your child does well — whether it’s sports, art, or music — can boost social skills and self-esteem. The 2011 clinical practice guidelines from the American Academy of Pediatrics recommend that doctors prescribe behavior interventions that are evidence-based as the first line of treatment for preschool-aged children (4–5 years of age) with ADHD. It is possible that parents or teachers can provide this first line of treatment. The Agency for Health Care Research and Quality (AHRQ) conducted a review in 2010 of all existing studies on treatment options for preschoolers. The review found enough evidence to recommend parent behavioral interventions as a good treatment option for preschoolers with disruptive behavior in general and as helpful for those with ADHD symptoms. Medication can help a child with ADHD in their everyday life and may be a valuable part of a child’s treatment. Medication is an option that may help control some of the behavior problems that have led to trouble in the past with family, friends and at school. Stimulants are the best-known and most widely used treatments. Between 70-80 percent of children with ADHD respond positively to these medications. Nonstimulants were approved for treating ADHD in 2003. This medication seems to have fewer side effects than stimulants and can last up to 24 hours. Medications can affect children differently, where one child may respond well to one medication, but not another. When determining the best treatment, the doctor might try different medications and doses, so it is important to work with your child’s doctor to find the medication that works best for your child. If you or your doctor has concerns about ADHD, you can take your child to a specialist such as a child psychologist or developmental pediatrician, or you can contact your local early intervention agency (for children under 3) or public school (for children 3 and older). You can fill out a symptoms checklist and take it to the child’s doctor. The Centers for Disease Control and Prevention (CDC) sponsors the National Resource Center, a program of CHADD – Children and Adults with Attention-Deficit/Hyperactivity Disorder. Their website has links to information for people with ADHD and their families. The National Resource Center operates a call center with trained staff to answer questions about ADHD. The number is 1-800-233-4050 FREE. For more information on services for children with special needs, visit the Center for Parent Information and Resources. To find the Parent Center near you, you can visit this website. In order to make sure your child reaches his or her full potential, it is very important to get help for ADHD as early as possible.